My transmission, of the arrival of a Cigar-Shaped Craft to FLY BY (not land) over Salt Lake City, February 21 was between 12:00 and 5:00. As the date approached closer, the transmissions came through, the Fly By would occur around the 2:00 p.m. hour. 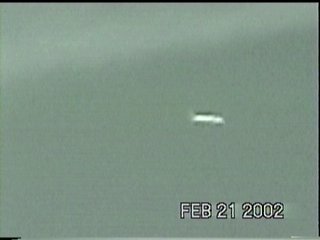 At approximately 2:25 p.m. the first Fly By UFO appeared, traveling about 1000 feet above the foothills, from the north and heading south. I was located on the foothills just north and slightly west of where the Olympic Rings were located on the mountain. 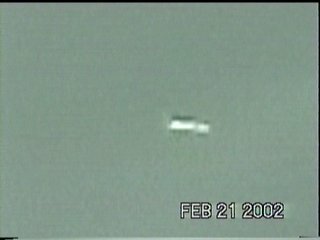 This first UFO was a Cigar-Shaped Craft cylinder shape (needle) with small scout crafts traveling close around it, almost attached to it. I filmed this first appearance. Using first "night vision" ONLY because it is provides greater detail of UFO's even in daytime sightings (as the UFO's can go interdimensional, the Night Vision can sometimes capture that which not seen with your eyes or Normal Vision) When I switched (Feb.21) to using regular vision on Telephoto, the UFO disappeared. I called the Channel 2 TV Reporter "Rod Decker" from the foothills reporting the first Fly By. At that time, I indicated transmissions were saying a second UFO Fly By would occur shortly.